Day Three of George Gershwin week. I saw these guys at the Newport Jazz Festival in 2012 and they blew me away. 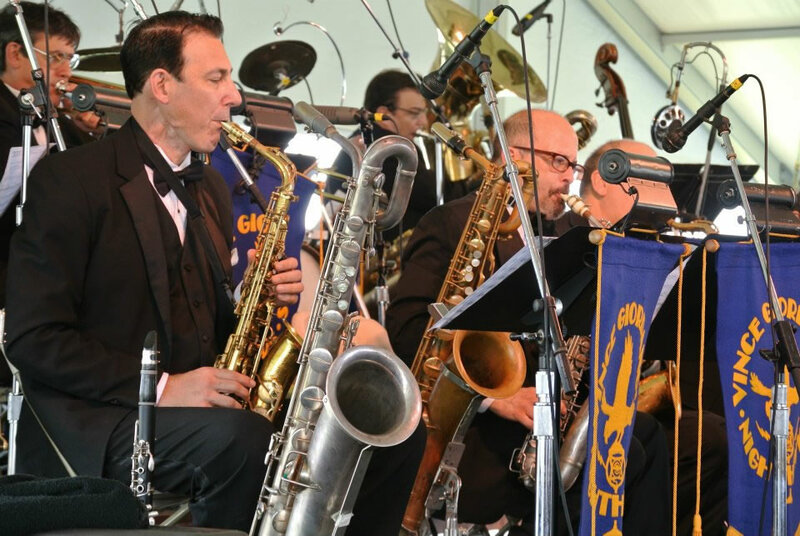 Their glorious sound is partly due to the fact they play all authentic 1920’s and 1930’s instruments, and probably are the only band today in the world where you can hear the types of sounds that George would have heard himself. This means revisiting “I Got Rhythm”, but I think it is certainly worth it. Vince isn’t just an amazing band arranger, but he sings and plays three of the bass instruments. 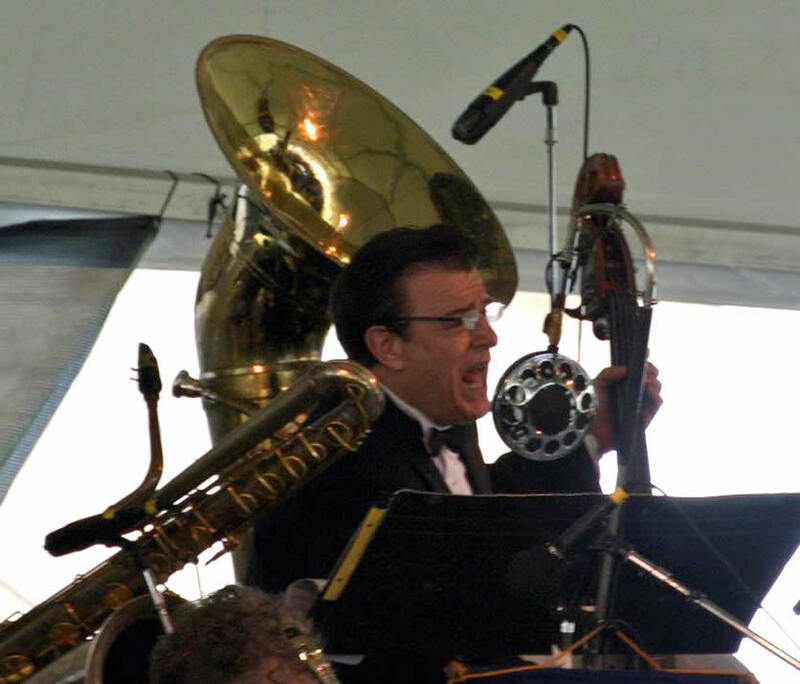 He has a bass saxophone, a sousaphone and a double bass somehow all fixed on a springy metal cage so he can really leap about between them, sometimes during one song. You might spot the beautiful subdued lustre of the saxophones, and slightly different bore sizes that you would get today. That goes to create the lovely warm sound, not like the giant barking sounds you get from instruments today. This entry was posted in DS106 and tagged george gershwin, jazz by admin. Bookmark the permalink.